In the kingdom of Goredd, dragons and humans live and work side by side – while below the surface, tensions and hostility simmer. The newest member of the royal court, a uniquely gifted musician named Seraphina, holds a deep secret of her own. One that she guards with all of her being. When a member of the royal family is brutally murdered, Seraphina is drawn into the investigation alongside the dangerously perceptive—and dashing—Prince Lucien. But as the two uncover a sinister plot to destroy the wavering peace of the kingdom, Seraphina’s struggle to protect her secret becomes increasingly difficult… while its discovery could mean her very life. In the kingdom of Goredd humans and dragons live in peace. All get along due to a treaty stating that the dragons are allowed to live there as long as there weren’t any major problems. The main character, Seraphina, obeys these rules as a human, but has a huge secret to keep. She is the child of a human and a dragon. The skilled musician woks under the music master and helps to organize banquets and things of that nature for the Royal Court. The most important banquet in her life gets postponed suddenly when a member of the Royal Court shows up decapitated. Seraphina wants to help find out why the man was brutally murdered, so she teams up with the Queen’s Guard to help find out. Why does she think she can help? She can see others like her (half-breeds) in her mind. Her teacher, Orma, is a dragon who has started to love her in a fatherly way. He helps her along the way with the whole endeavor. Prince Lucian Kiggs, part of the Royal Guard accompanies her to find the reason his relative was murdered, and some romance starts to brew between the maid and prince. Why is Seraphina so special? Is there a reason she’s musically gifted? I had a lot of problems with this book. Nothing seemed to be happening, but everything was happening all at once. This book could have easily been half the length. There were so many characters with such similar, or even two, names. There was kind of no plot, and the romance was very cheesy. I really struggled to find the time to want to pick this book up. Ahh. I don’t even know where to start with the characters because there were so many. Seraphina, Lucian Kiggs, and Orma were the main characters, but there were so many side characters. Lucian Kiggs was my favorite character, because… love interest, but I did like Seraphina. There was a lot of character development, and that aspect of the book was really impressive and fun to read about. I felt like there were a lot of unnecessary things to just fill the space. I would choose to be Seraphina because she was a really strong character to follow. She was brave and strong, but also vulnerable at the same time. Even though the romance wasn’t executed well, she and Kiggs really were the perfect couple. I hope that the relationship continues to grow in Shadow Scale. Shannon recently moved to a new publishing company, and they’re releasing her books with new covers and revised work. Applause is necessary ;) This talented woman is a beautiful writer and has a unique writing style. 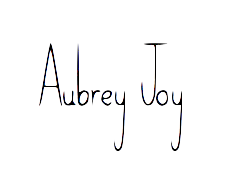 Check out her blog! This was a collection of short stories and essays recording parts of David Sedaris’s life. There were so many random tidbits of information in this book. He basically tells random stories from his life in a really weird way. He tells about how mean his father was to him when he was a kid, about how his passport got stolen by drug dealers, and how he felt during his first colonoscopy. So weird and so random. I have no idea how to feel about this book. I didn’t like it, but I did find myself laughing at some points. The weirdest short story from the whole book was where he buys this stuffed Pygmy owl for his boyfriend for Valentine’s Day (romantic??) at this sketchy random taxidermy shop in England. Why? I honestly do not understand what possessed this man to write about the things he ended up putting in this book. Because this was so all over the place David was the only constant character. His boyfriend was nice enough, but only showed up in two or three stories. His dad was just weird and really mean, therefore I did not enjoy reading about him. Some of the side characters that he met along the way were fine; I liked the random girl from Australia. She told him about the kookaburra bird and sang the kookaburra song with him. The man at the taxidermy shop was super sketchy, though. Just weird characters along the way. This week I didn’t read that much. 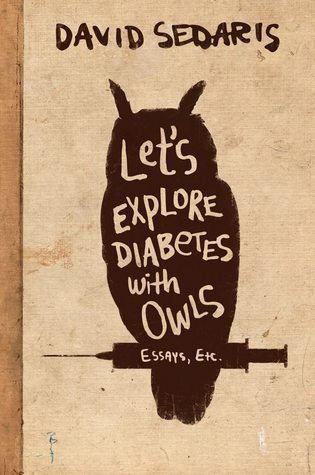 I read about 50 pages in Seraphina and read about 20 pages in Let’s Explore Diabetes with Owls. 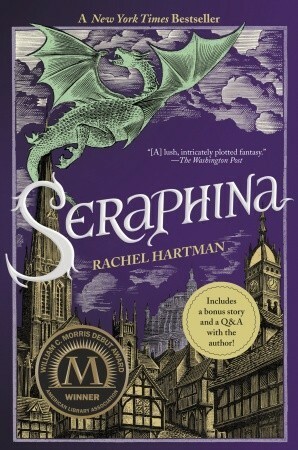 Next week I will read more and have the review for Seraphina up. I have been very busy with schoolwork lately, so that is why there has been a lack of posting. I am trying my hardest to get back on a regular posting schedule. I went to an auction today, and found a small bag with a Gameboy Advance, a Gameboy Color, six Pokemon games and about six random games. I bid on it, and got it for $42. I have started playing the Pokemon Pikachu Edition on the Gameboy Advance and it’s so much fun. Pokemon is definitely still my favorite game, and I’m definitely planning on bringing it with me on my Florida trip! Hello, hello. This week has been very busy, but fun. On Thursday I had a dance audition for the audition piece we do in recital, and I got in! We had the learning day today from 1:00-6:00 and it was very tiring. I’m very excited, though. I didn’t do a lot of reading this week, but I will finish Seraphina next week and start the Shadow Scale. On the 26th of February marked one year of my boyfriend and I dating. It was really awesome because he got me a cherry pie (my favorite thing ever because who doesn’t love cherry) and I got him a Tim Howard book. Of course it was a book, but he loves Tim Howard. He was on the American soccer team, but moved to England and is now on the Everton team. My boyfriend’s favorite team is Everton, and he’s a goalie just like Tim Howard. My school’s semi formal was yesterday so we went to dinner first and then went to the dance. We looked really nice and all fancy. ‘Twas a great time. HARRY POTTER WORLD IS HAPPENING IN ABOUT TWO WEEKS!!! I am so excited. So so so excited. Ahhh!